The following information is excerpted from the The Alaska Statutes - 2004 , Title 44, Chapter 09, Section 060. Chapter 44.09. STATE SEAL, FLAG, AND EMBLEMS. 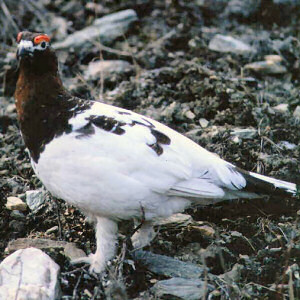 The Alaska Willow Ptarmigan (Lagopus lagopus alascensis Swarth) is the official bird of the state. Ptarmigan: Alaska Department of Fish and Game.